Highly Recommended for experienced PE users. As with any swing wing aircraft, the section where the wing sweeps into the fuselage is an aerodynamically critical area. 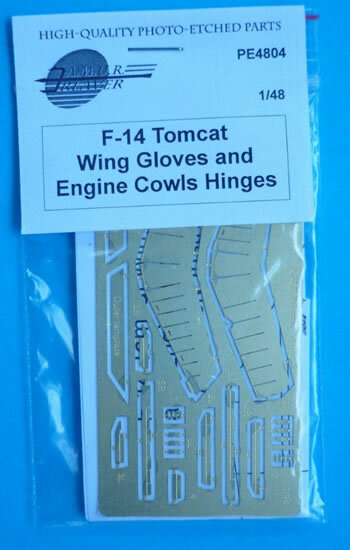 On the F-14 Tomcat, to improve the aerodynamic characteristics of this structural detail, wing glove sealing plates were developed for both wings. These sealing plates help smooth the airflow and reduce the drag. 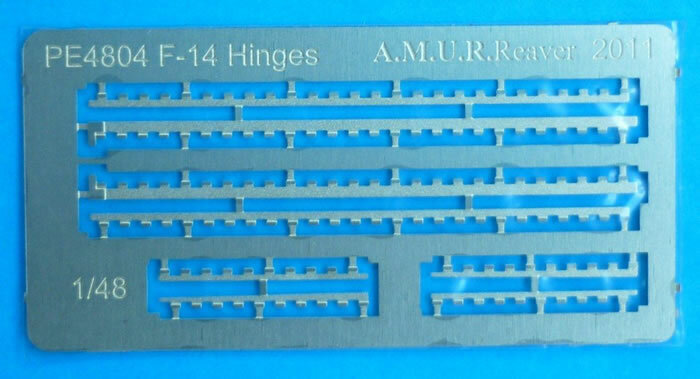 As you can see by the above image, the area is very well detailed, this has been difficult to replicate in plastic hence A.M.U.R Reaver has come to the rescue with a PE set that will look just like the real deal when completed. 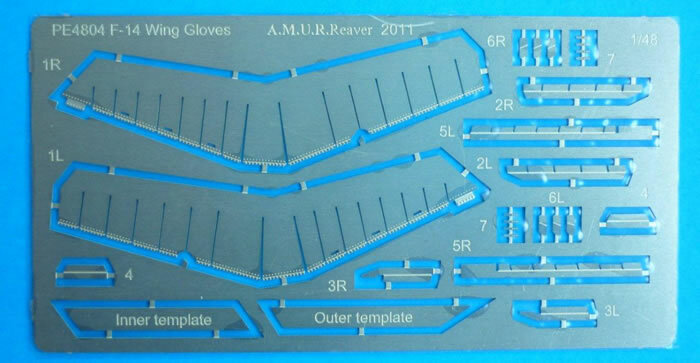 This set is designed to improve the appearance of the wing glove sealing plates above the moving part of the wing. While the website talks about being suitable for the Hasegawa Tomcat, I pulled out my Academy kit and if you are willing to tackle the PE then I feel it will work equally as well with the Academy Kit. 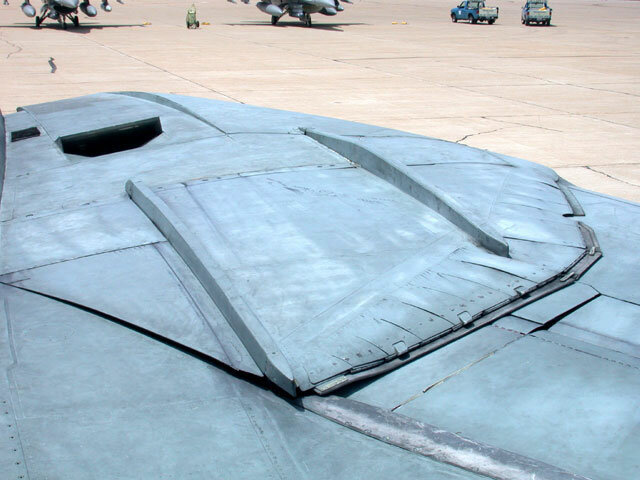 The PE should allow you to get a nice tight seal with the glove sealing plates on the upper wing. The PE sheets themselves are protected by thin clean film, a very nice approach. a hinges on the engine cowls. 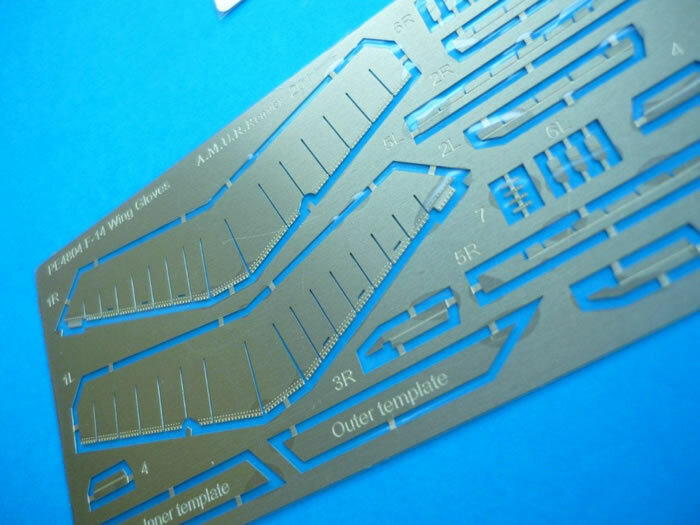 This set will look great on your Tomcat, as this is a highly detailed area, perfectly suited for experienced PE users, highly recommended.